Click here for an easy tri-fold .pdf version of Affiliate Directory. 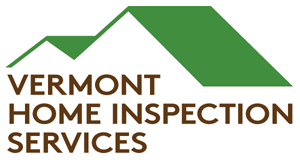 Vermont Home Inspection Services offers clients a complete home inspection that is designed to bring peace of mind by revealing a property’s distinct qualities and overall condition. With our help, you’ll recognize and understand any problem areas that need to be taken into account before committing to an investment, as well as a time line of possible maintenance items. Vermont Home Inspection Services will check the entire home including the roof, basement, heating system, water heater, air-conditioning system, grounds, structure, plumbing, electrical, crawl spaces, garages, and many other aspects of the home. We will identify system and major component defects and deficiencies, improper building practices, items that require extensive repairs, items that are general maintenance issues, and some fire and safety issues. A detailed report with photos will be provided to highlight areas of deficiencies as well as future maintenance items.